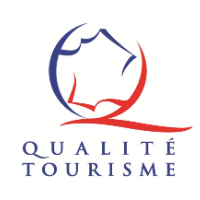 The publishing director of the site is Sylvie Couderc, director of Les Vallées d'Ax Tourist Office. Users of this site acknowledge having the skills necessary to access and use this site and have verified that the configuration used contains no viruses and is in perfect condition. The user acknowledges having been informed that this site is accessible 24 hours on 24 and 7 days out of 7, with the exception of force majeure, difficulties linked to the structure of communication networks or technical difficulties. For maintenance reasons, the Tourist Office of Les Vallées d'Ax may interrupt the site and will endeavor to forewarn users. In accordance with the provisions of the Act of 6 January 1978 on computers, files and liberties, the automated processing of personal data carried and from this website has been declared to the National Commission on Informatics and Liberties (CNIL). Les Vallées d'Ax Tourist Office makes every effort to offer users information and / or tools available and verified but can not be held responsible for errors, lack of availability of information and / or presence of viruses on its site. The user is informed, in accordance with Article 27 of the Data Protection Act, files and freedoms of January 6, 1978, that the optional information it communicates by answering if he wants the forms on the site allow to answer his request and are intended for the Tourist Office of Les Vallées d'Ax, the controller, for purposes of administrative and commercial management and, except opposition on his part, to other group companies or partner companies of Tourist Office of Les Vallées d'Ax. The user is informed that he has a right of access and rectification in relation to all the personal data by writing to the Tourist Office of Les Vallées d'Ax. Les Vallées d'Ax Tourist Office is declared to CNIL under the number 1768640 v 0. The general structure, as well as software, texts, images animated or not its expertise and all other elements of the site are the exclusive property of Les Vallées d'Ax Tourist Office. Any total or partial representation of this site by any means whatsoever without the express permission of Les Vallées d'Ax Tourist Office is prohibited and constitutes an infringement punishable by Articles L.335-2 and following of the Code intellectual property. It is the same databases contained on the website, which are protected by the provisions of the Code of Intellectual Property transposing the European Directive of 11 March 1996 on the legal protection of databases, and whose Les Vallées d'Ax Tourist Office is producer. Any user or visitor to the website can not establish a hyperlink to this site without the express consent of Les Vallées d'Ax Tourist Office. Any dispute related to site usage vallees-ax.com is subject to French law. The user and Les Vallées d'Ax Tourist Office agree to submit themselves to the exclusive jurisdiction of French courts in disputes.